Not to be confused with the European Court of Justice, the highest court of the CJEU. 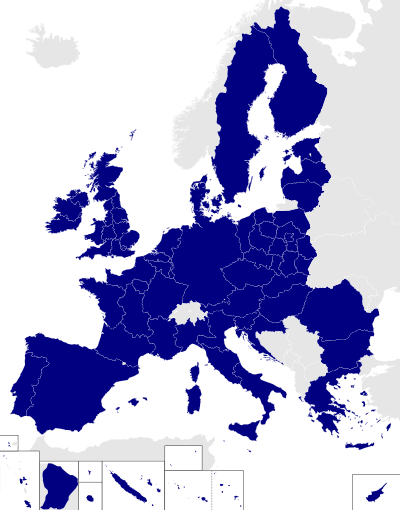 The Court of Justice of the European Union (CJEU) (French: Cour de justice de l'Union européenne) is the institution of the European Union (EU) that encompasses the whole judiciary. 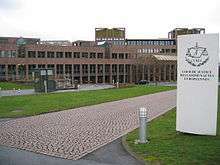 Seated in Luxembourg, Luxembourg, it consists of three separate courts: the Court of Justice, the General Court, and the Civil Service Tribunal. CJEU is the chief judicial authority of the European Union and oversees the uniform application and interpretation of European Union law, in co-operation with the national judiciary of the member states. CJEU also resolves legal disputes between national governments and EU institutions, and may take action against EU institutions on behalf of individuals, companies or organisations whose rights have been infringed. the Civil Service Tribunal, a specialised court which hears disputes between the EU and its staff. 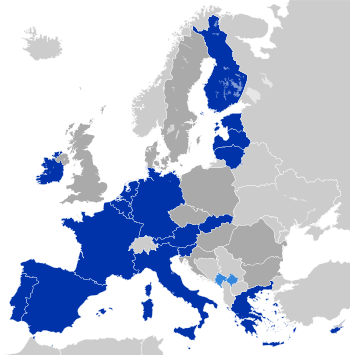 CJEU was originally established in 1952 as a single court called the Court of Justice of the European Coal and Steel Communities (as of 1958 the Court of Justice of the European Communities (CJEC)). The General Court was created in 1988 (known as the Court of First Instance) and the Civil Service Tribunal was created in 2004. With the entry into force of the Treaty of Lisbon in 2009, the court system obtained its current name (Court of Justice of the European Union), while the court itself was renamed "Court of Justice". 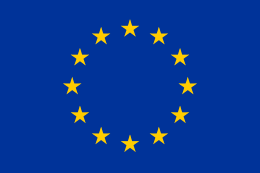 ↑ Article 19 TEU: The Court of Justice of the European Union shall include the Court of Justice, the General Court and specialised court. 1 2 3 "General Presentation". Curia. Europa. Retrieved 23 October 2015. 1 2 "Court of Justice of the European Union (CJEU)". Europa. Europa. Retrieved 23 October 2015. Beck, Gunnar (2013). The Legal Reasoning of the Court of Justice of the EU. Oxford: Hart Publishing.